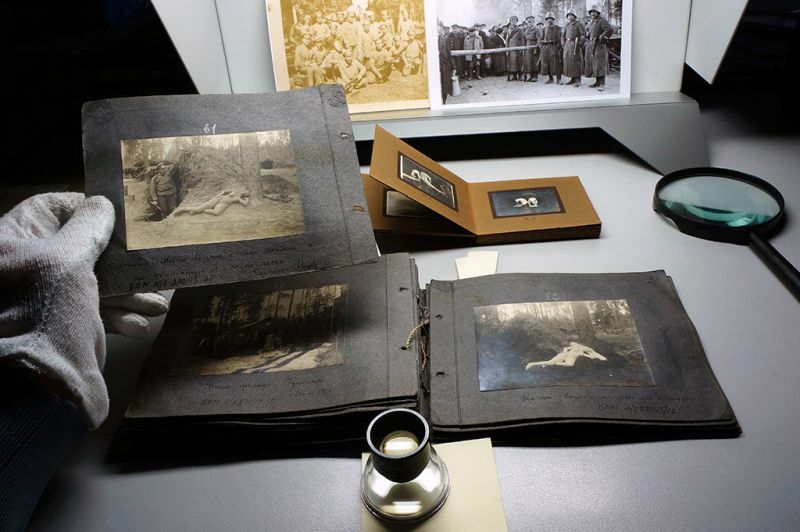 War Witness Archive is an invitation to its audience to escape historical and torpid concepts by building a structure of connections between events. The heterotopias are the spaces in which memory, time and historical gaps in the global landscape of modernity are generated, transforming a platform of the ‘living present’ into the ‘memories of the past’. The visitor encounters the photographic and historical archives of global events, the catastrophic nature of which can only be completely understood in retrospection. It asks, ‘Can the person of today become a witness of these historical events, and add some form of clarity to them? In particular, this witness becomes a key figure in the project, gradually acquiring the characteristics of a contributing author to the work: actively engaging in the identification of the past, expressing his vision of both the current state of things and the "appearance of things", outlining possible futures and developing possible scenarios surrounding the events. The Archive is a meeting point for events with the author who observes and commits to writing what he has ‘seen’; his words become a testimony, a ‘witness statement’. The witness is the person becomes the mouthpiece of, the spokesperson for the person who can no longer communicate, who no longer exists. The words of this modern scribe or storyteller are decorated and punctuated with the symbols and metaphors and are thus transformed into mosaic-like, fragmented "places of memory". What is created is a sort of myth but a myth which does not prettify or exaggerate reality; works not by resorting to conceited or pretentious narratives, but through understanding compassionate attempt to appreciate of what he has inherited. No longer one all-consuming narrative, there now exists separate and subtle messages. There is no single, blanket history. Instead there are short messages of the global and eternal localities. The paradigm of historical knowledge has been replaced by "consciousness that remembers". Witness assumes transgression of the boundaries in time is a response and a natural outcome of this process, as well as the emergence of the concept of duty to the past and the future. Witness does not serve to preserve or embalm the past, but makes real microcosms, thus produces micro identities. ‘Works of art’ appeared as a result of unlocking archives and making them accessible to Witness, thus allowing direct interaction with historical material, with expert opinion, with witnesses of the captured and recorded moments, circumstances and stories they have left behind. Content of the project is framed by an Information system which delivers an ability to watch, touch, listen, speak and respond. 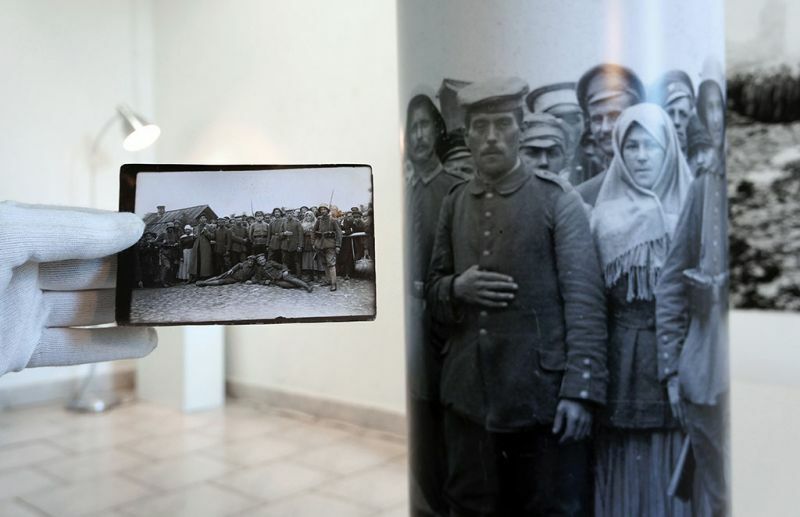 "The space of communication" in the project operates from a photographic archive of a turning point in the twentieth century, one of the most remembered events in history: World War I. Removing a time frame, documentary photography becomes a means of communication between people,. This photographic evidence is the starting point for the formation of a "polyphonic" narrative: the Meta-Archive, an archive of contextual fields of the project. 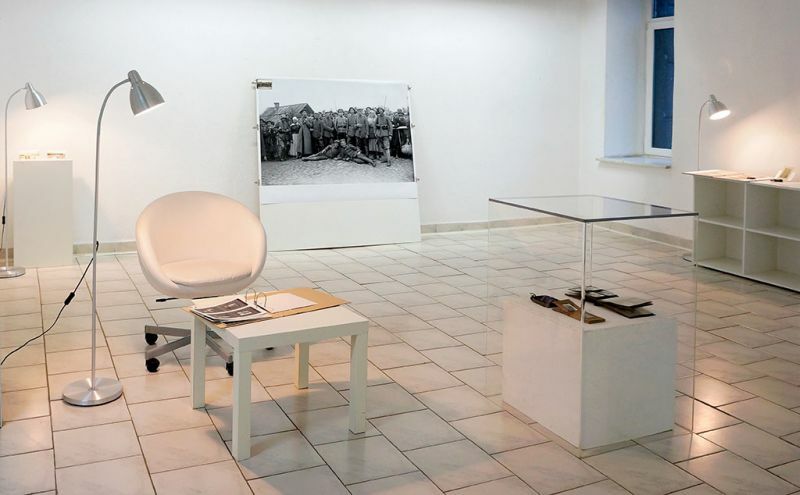 Project "War Witness Archive" offers a format of interaction, not simply a platform for the communication and production of meanings; it affords space, a repository of "other places" which "suspend, neutralize or overturn an entire set of relationships and thus they are signified, recognized or reflected". By using various archives - museum collections, the private stories of participants and direct witnesses of the time, current information from various media channels, the location and the project implementation in Venice, Italy, and in Minsk, Belarus, etc. - the project builds a special relationship between space and time, including other modes of subjectivity. 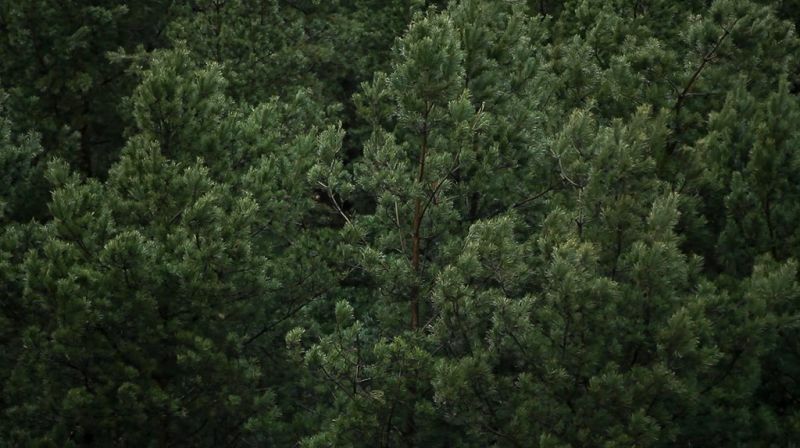 The exhibition incorporates a video installation by Konstantin Selikhanov ‘Forest’. ‘Forest’ is white noise, a pause, the discontinuation of the internal environment of the project, and also in opposition to the contemplative archive space and to the "discharged monotone" of the natural landscape. Thus, the ‘War Witness Archive’ becomes a space where the readiness to perceive multiple versions of European history in conditions of economic and political engagement could be tested. The project reveals the willingness to hear the voice of another, as well as an opportunity to be heard under the influence of the variable context of time; it allows the past to be incorporated within the present, and anxieties over an increasingly uncertain and unsafe future is vocalized today. Official web-page of the project: wwa.by. Commissioner of the National Pavilion of the Republic of Belarus at the 54-th Venice Biennale (2011), curator of special projects of the Republic of Belarus for the 5-th Moscow Biennale of Contemporary Art (2013), curator and organizer of the exhibition of contemporary art “Avant-garde. From the square to the object” for the World Hockey Cup in Minsk (2014), curator of public art projects “The Artist and the City” on Yakub Kolas square in Minsk, dedicated to the works of M.Chagall, K.Malevich and other famous artists (2011-2014). Engaged in the research of new practices of contemporary art. Author of more than 300 publications in the belarusian and international press, and more than 30 books and albums about contemporary art. Collaborates with National Art Museum of Belarus, Contemporary Art Gallery “Ў”, Minsk (Belarus), Arsenal Gallery in Bialystok (Poland), Georgian National Museum, Goethe Institutе in Minsk (Belarus), Contemporary Art Study Center (EHU) Vilnius (Lithuania) etc. Head of exhibition department at the Museum of Modern Art, Minsk, Belarus. Research interests include: history of the non-official Belarusian art of 1980th and 1990th in the all-European context. Author of a number of analytical articles on the problematization of Belarusian contemporary, non-official and official art and art scene. Initiator and curator of a number of Belarusian and international art projects: “Going Public – On the Difficulty of a Public Statement”, “Belarusian avant-garde art of 1980s-1990s”, “Belarusian climate. Retrospection”, "War Witness Archive" etc. Mechanical Engineer, field of research Systems of Information diagnostics. Photographer, founder and director of the Minsk Center of Photography. Lecturer at the School of Photography, curator of group and personal photographic projects. From 2001 works in the field of non-formal education in culture. In 2010 developed the concept and methodology of the program "Photojournalism" for the Institute of Journalism of the Belarusian State University. The program was approved by the Ministry of Education of the Republic of Belarus in 2012. In 2011-2013 – gives lectures at the Institute of Journalism of the Belarusian State University. In 2012 - established fine art printing company Coloroom. Author and curator of exhibition projects "Belarusian factography "," Belarus during First World War", "Olympic Belarus", "War Witness Archive".